Have you ever noticed how most of our favorite breakfast dishes center around a grain+gluten filled item? Breakfast is notoriously a high-carb, low protein meal, which sets you up for a day filled with poor food choices. 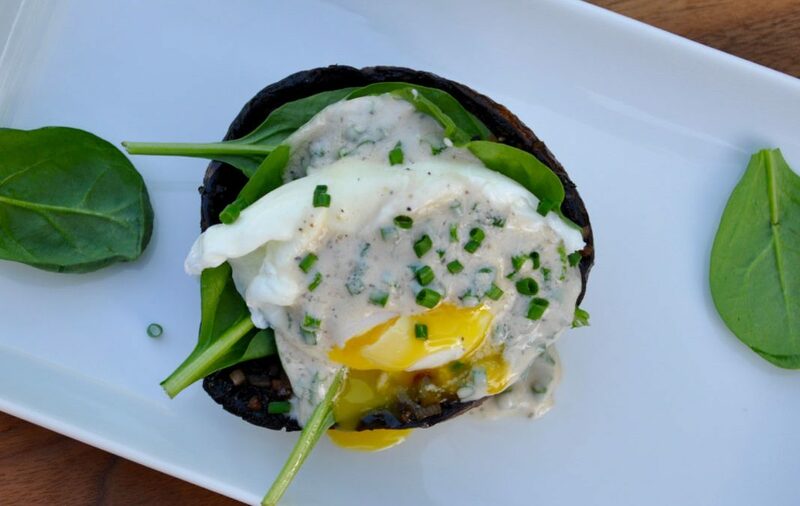 So, rather than go with the high-carb flow, start your day off with this Portobello Eggs Benedict – where a marinated and roasted Portobello mushroom cap is used to replace the English muffin. Think of it as a modern, fitness-friendly version of Eggs Benedict that will keep you on track with your results. Enjoy!